Iatrogenic induced hypothyroidism had been described in newborns and more particularly in preterm infants after cutaneous or intravenous exposure to iodine. We reported a new risk of iodine intoxication with the cases of two newborns who developed hypothyroidism after intra vesical iodine injection during a cystography, which was performed to confirm antenatal diagnosis of posterior urethral valves (PUV). The newborns both developed transient hypothyroidism due to an iodine overdose. 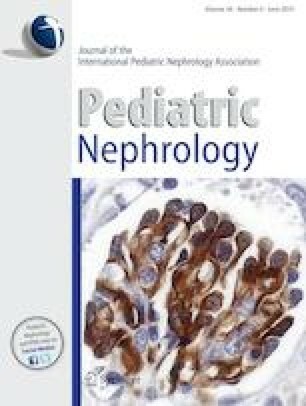 These two observations suggest that voiding cystourethrography (VCUG) should be carefully considered in newborns with severe uropathy, particularly in the case of renal insufficiency. If indicated, thyroid function should be monitored in the following weeks, and in case of hypothyroidism treatment should be started.